What is ATP Alpha Mars? ATP Alpha Mars is a potent testosterone booster formulated to increase strength and power, gain lean muscle and improve libido. It is a supplement that supports and optimises the levels of testosterone naturally with the use of some effective ingredients. For most men, testosterone levels start to decline at the age of 30 which is why ATP Alpha Mars have developed a natural testosterone supplement to prevent it from declining any further. Using a unique formulation, Alpha Mars offers multiple benefits for those who are looking to boost testosterone levels and increase strength. The product has been well researched formulated with potent and effective ingredients that offer the benefits of higher testosterone levels, increases focus and muscle mass. One of the unique features Alpha Mars offers to users is the ability to intercept negative receptors to keep the testosterone pumping. Together the ingredients help free up more space for testosterone. Fenugreek is one of the active ingredients that has been researched and known for its ability to increase testosterone. Exercise and hectic work can often result in stress levels and the stress hormone cortisol; which can impact on your muscle building capacity. This is why Alpha Mars has included some ingredients like Shiljit and Korean Ginseng to help tackle this issue and to place you in a better position to make better gains. If you’re interested in returning to the kind of progress that you achieved when you first started working out or when you were younger; Alpha Mars by ATP Science is the supplement you want to add in your stack. With respect to the side effects, there is a very small chance of experiencing side effects when using a natural test booster. Although there is slim chance of experiencing side effects, the symptoms to look out for are increased acne and increased sweating due to more hormonal activity (increase in testosterone). 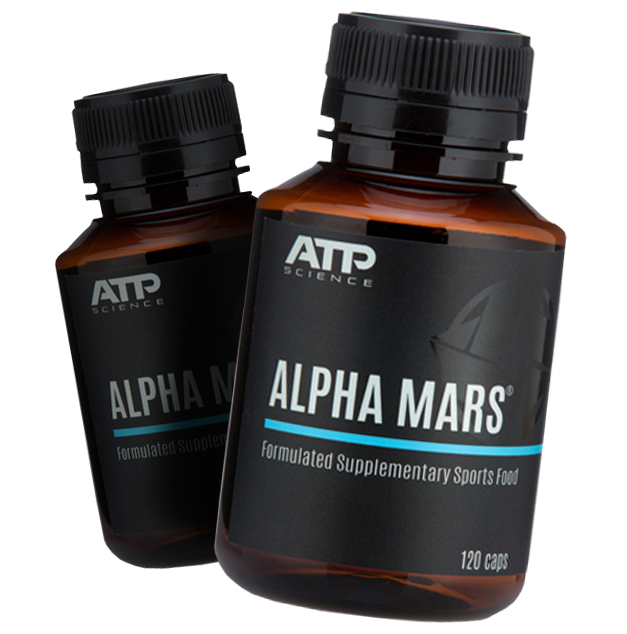 If you are finding that your energy levels are low and testosterone levels have declined, ATP Alpha Mars is another excellent alternative to help support lean muscle mass. The dynamic range of ingredients Alpha Mars is specially formulated for you to gain maximum benefits.